This entry was posted in Blog, Boycotter Stories, Front Page Item, Photos and Documents on August 9, 2017 by '63 Boycott. Dianne Dickson’s father, Joseph S. Dickson, moved his family to Chicago the summer of 1963. Their family moved so that Mr. Dickson could become the rector at St. Paul’s Episcopal Church in Kenwood. As the family settled in, they immediately became aware of the racial segregation and inequality plaguing the city. 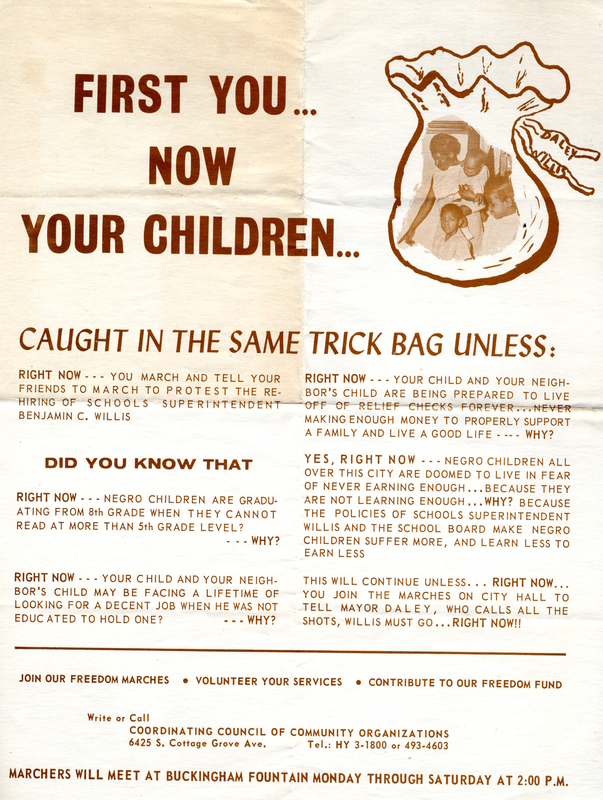 Experts at the time estimated that the condition of the black population in the 1960’s in Chicago was analogous to that of whites in the Great Depression twenty five years earlier (EducationPublicTrust_3099). Dianne sent us a stack of archival materials from her father’s collection, some of which have been used in our film. 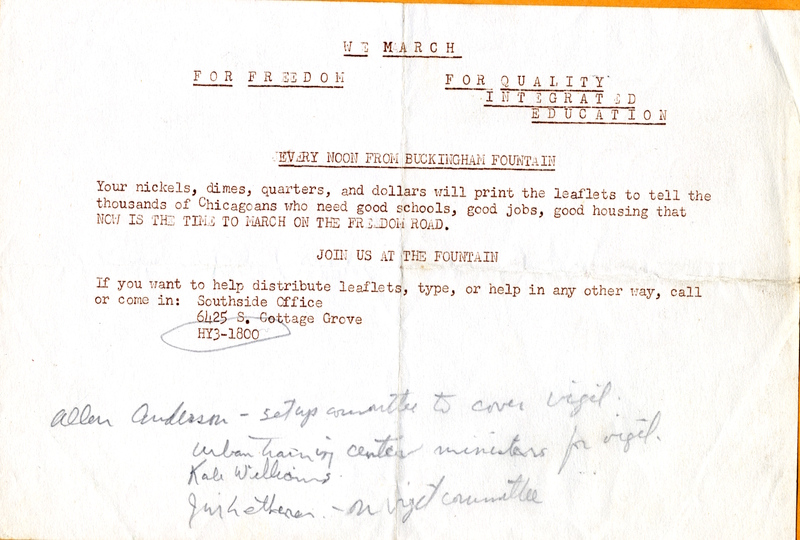 Information included in the boxes spanned from Civil Rights violations, newspaper snippets, and letters to the Chicago Board of Education from the Kenwood-Shoesmith PTA (Parent Teachers Association), which Joseph Dickson was the President of at the time. According to the US Civil Rights Commission, roughly 90% of black elementary students and 63% of black high school students attended over 90% black schools. All while Willis was allocating significant funding (Chicago was one of the metropolitan cities that spent the most on education) on projects that weren’t helping black students. 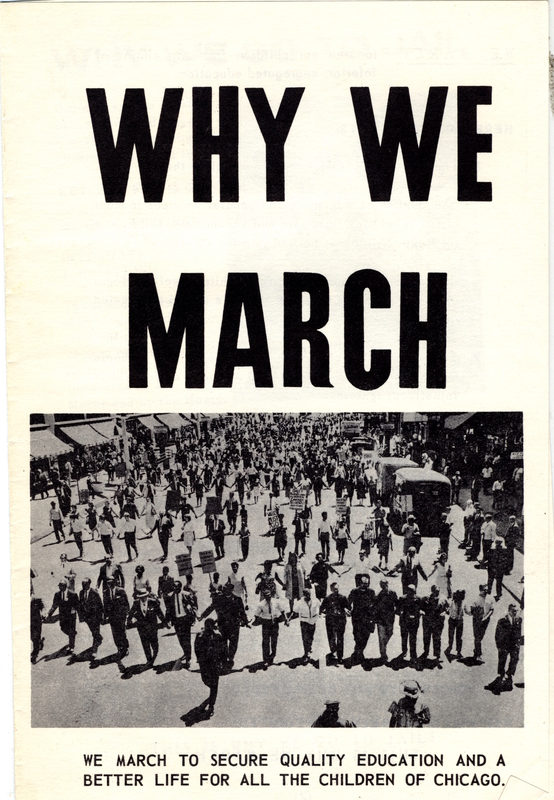 In “Why We March: Race And Schools in Another Perspective”, Dickson measures the dropout rate at 35% in black neighborhoods. Which means 1 in 3 black students were not receiving high school diplomas in 1965. 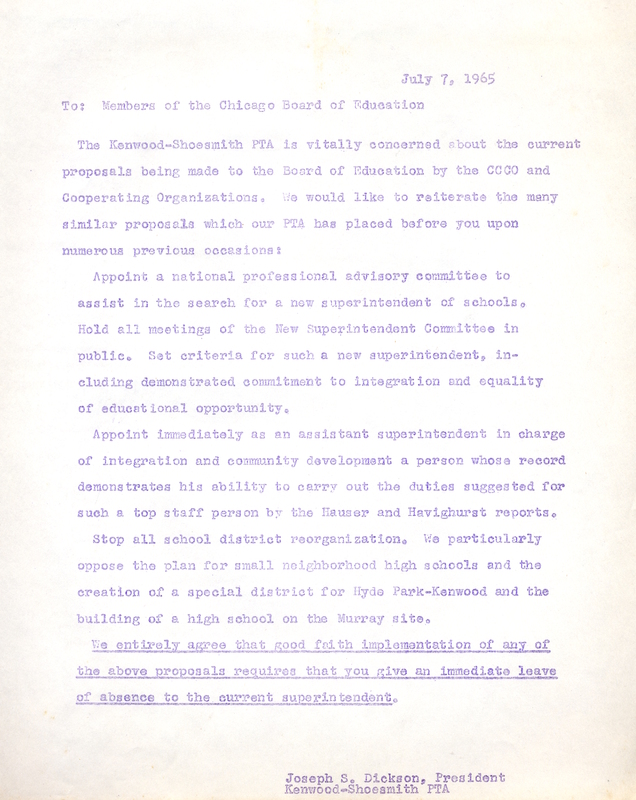 As a result, Chicago organizers, parents, and students demanded Mayor Daley to follow suite and the resignation of superintendent Benjamin Willis. What did protesters do after the boycott? This entry was posted in Blog on August 9, 2017 by '63 Boycott. Norfolk Southern is a company discriminating against employees on the Southside of Chicago that Jill is taking down. 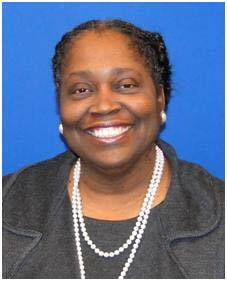 She became a solo practitioner years ago because she “disliked the politics inherent in major law firm and large corporate environments, not to mention the often negative attitudes about women, minorities and older workers.” Jill Willis’ fight for equal rights started from a young age during the 1963 school boycott and continues to this day. 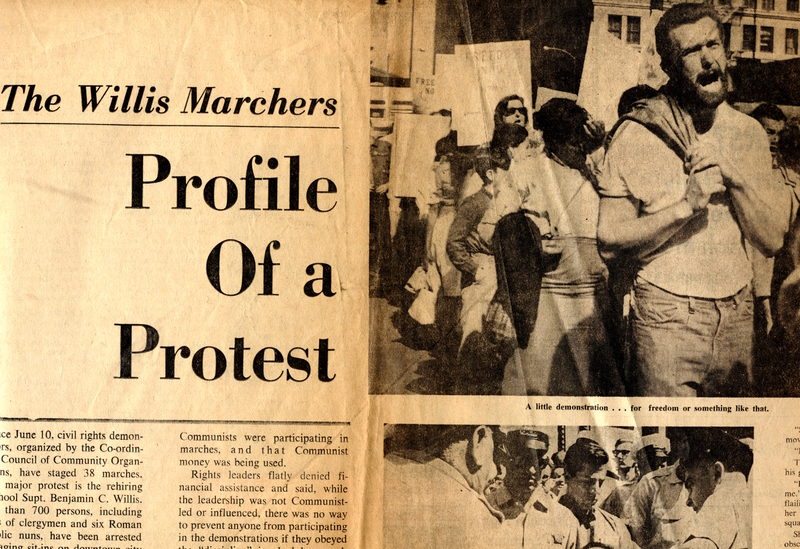 Check out ’63 Boycott on WTTW Thursday! OVEE online screening & filmmakers chat TONIGHT, 7pm! ’63 Boycott premieres TONIGHT on PBS WORLD Channel, 8pm EST! PBS WORLD Channel national premiere just days away! Lyn on Is this Bernie Sanders being arrested?